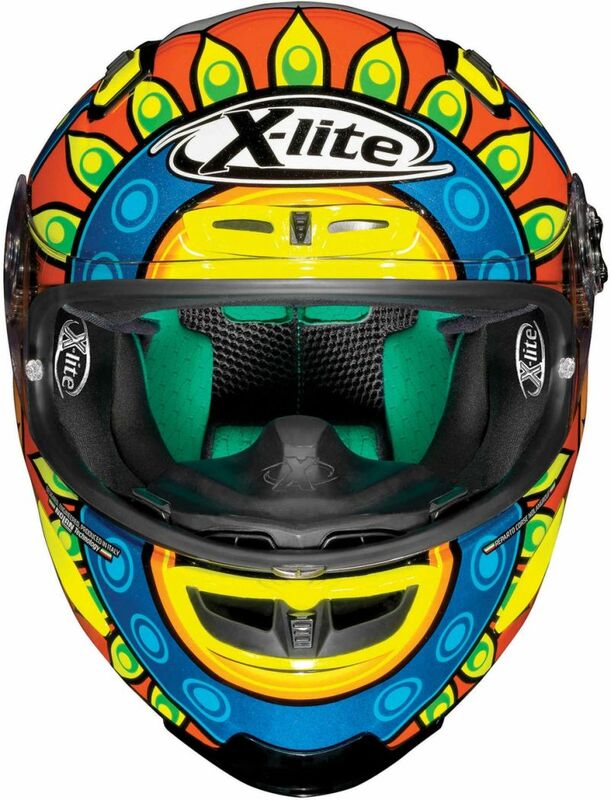 The X-803 is X-Lite’s new full-face racing helmet which maintains and enriches the much-appreciated and consolidated technical characteristics of its predecessor, the X-802RR, an award-winning helmet which is universally recognised as one of the reference points in MotoGP and SBK paddocks. 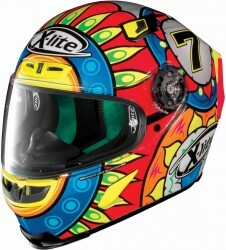 X-803 is one of the most appreciated full-face racing helmets by the most demanding of motorcyclists, thanks to its compact size (due to the availability of three outer shell sizes), emergency cheek pad removal system (NERS - Nolan Emergency Release System), reliable visor mechanism with a Double Action system, efficient RAF (Racing Air Flow) ventilation system and Carbon Fitting Racing Experience inner comfort padding (with an updated net construction). Compared to its predecessor (the X-802RR model), the X-803 has been improved in terms of lateral visibility. Consequently, it is able to offer improved riding comfort and increased active safety. Supplied (according to the segment) and with silicone-sealed profile (FSB – Full Silicone Border). Thanks to the exclusive patented adjusting system adopted by the Nolangroup, the stretch of the Pinlock® inner visor can be adjusted, acting from the exterior of the visor, without the necessity for dismantling. The result of experience and testing in the wind tunnel and on track, it is made up of: - indirect entry upper air intakes;- a direct entry front air intake;- a high flow rate chin guard intake with defogging function;- a front protection with integrated aerodynamic vent;- side air extractors;- a rear extractor, integrated in an aerodynamic spoiler with adjustable profile (ASD – Adjustable Stability Device). Compared to its predecessor (the X-802RR model), the X-803 has been improved in terms of stability at high speeds, due in part to the complete revision of the rear spoiler. 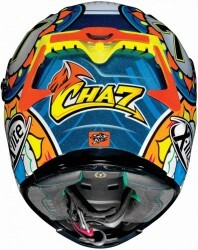 The adjustable spoiler profile for the adaptation of the aerodynamics of the helmet according to various ride positions and driving styles has been confirmed. Compared to its predecessor (the X-802RR model), the X-803 has improved wearability in the chin area: the chin guard has been slightly elongated, to offer increased levels of static and dynamic comfort. The internal padding in expanded foam for the cheek pads has been designed in order to provide superior even pressure and consistent performance over time compared to traditional padding. It can also be removed from its fabric coverings in order to make washing of the latter easier. Clearly inspired by rain masks used in racing, it is an efficient accessory as it limits fogging.